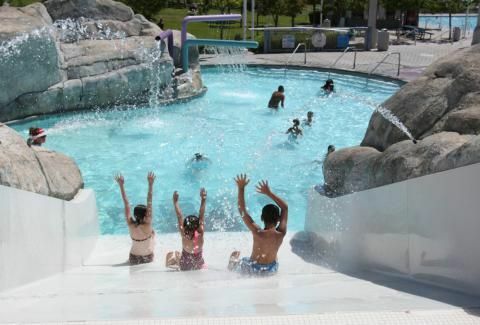 ANTIOCH, Calif. (AP) _ About 40 children became ill while swimming at a city-run water park in Antioch after excessive chlorine apparently leaked into the water. The San Francisco Chronicle reports (http://bit.ly/1dNK4vD ) that victims started vomiting and feeling burning in their eyes around 2 p.m. Thursday at the Prewett Water Park. Lifeguards shut down the park as emergency crews rushed to the scene. Officials say 17 victims were taken to local hospitals. Contra Costa County hazardous materials crews are examining the park to see what went wrong.